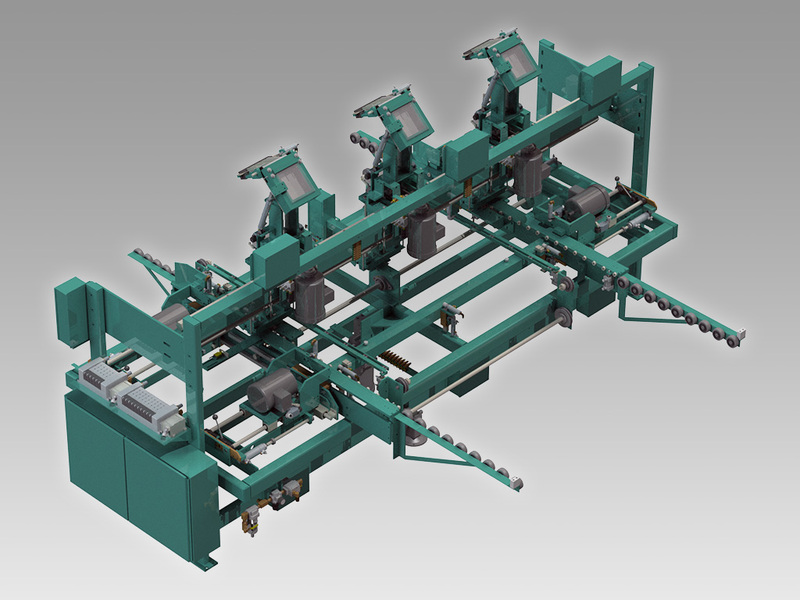 The 777 Flat Back Bi-Fold Machine installs flat back hinges on bi-fold doors with four drill stations and three hinge application stations. The base model includes setup for 6’8” and 6’6” doors with hinge application units on fixed centers. It also includes spring loaded wheels to support the panels as they are fed into the machine. Dual off-feed belts are provided to move finished doors out of the machine so the next pair can be inserted.